Not for Profits wanting to trade their social goods have to contend with a host of unseen barriers. Consultant Ivan Brown identifies the three biggest issues organisational leaders face when looking to increase revenue from trade. In Australia we are witnessing fundamental shifts in the NFP landscape, including a tightening of welfare spending, new social investment markets opening up, increased utilisation of performance-based funding models, government outsourcing, increased for-profit activity in the sector and increased pressure on NFP’s to become less government funds reliant. These shifts should compel entrepreneurial and innovative NFPs and social enterprises to cease heavy reliance upon one or two funding sources (government or otherwise), and start diversifying their revenue streams. Trading goods and services can be a fabulous way to gain surplus income depending on your NFP or charity. For the most part, such goods and services will be developed and sold for the sole purpose of benefiting the organisation’s social purpose. Universities, for example, receive government grants while also earning fees from domestic and overseas students. Cultural and recreational organisations rely heavily on membership dues and event revenue. Health, social and environmental sectors also gain revenue from similar streams, according to ABS data (2007), but they do so to a lesser extent. Apart from what is being observed in larger NFPs and charities, generating revenue through trade is still not mainstream in the broader NFP sector. This strategy is risky for a range of reasons that extend beyond simple market factors, financial risk, and supply and demand economics. Unlike for-profit businesses, NFPs seeking to trade their social goods have to contend with a host of unseen barriers, taboos, politics and competing interests. Through research and experience of working with and across hundreds of social organisations we have identified the three biggest (and sometimes nastiest) issues organisational leaders face when looking to increase revenue from trade. Take a look at your annual financial statement and you will undoubtedly see that people are your single largest investment. Most of the people you hired are passionate about promoting your organisation’s social agenda. A mistake that any board or CEO can make is to assume that staff passion will transfer naturally to a new trade or service product, especially if commercialising products is new to your business. People’s passions are inextricably linked to lifelong values, and leaders should be careful how they ask existing staff to get involved with new products. Without the support of the people in your organisation, any new strategy for revenue creation will likely fail. Staff members at every level need to be part of product design and development from the outset. Organisations that skip this step in favour of dictated approaches, like imposed job changes can quickly disengage staff and even end up with industrial relations issues. Goodwill is the greatest competitive advantage socially-focused organisations hold over for-profit businesses. When you seek to leverage this advantage you risk losing some of that intangible goodwill. This can happen as aforementioned at the staff level, but can also reverberate through your community of stakeholders and even further to political allies. Organisations need to be careful that their saleable products meet three strict rules to avoid this pitfall. First, ensure that your new offering does not blur, intimately interact with, or resemble any free services you currently offer to clients. Second, keep the financial earnings and costs of your new venture clearly separated from other earnings sources. Failure to clearly demarcate the new offering from the old funded services and dollars will likely result in justifiable scepticism from your community. Third, explicitly articulate how the revenues from your new offering will be redistributed back to the cause. Your investors and buyers will want to see the social impact of every dollar. Thank You Water, for example, handles this by letting the customer track every purchased cent of impact. That kind of transparency builds trust and confidence in the product and overall business model. When designing and building new products for the first time, NFPs benefit most by generating products and services that build upon the value bundles already present in their existing value chain. Creating a completely unrelated product or service to fund your social mission may seem like a good idea but you may lose much of the goodwill-based competitive advantage you possess if the product or service is greatly disconnected from your core business. Profitability is also critical. It sounds obvious but many trading social enterprises continue to support failing products or services. This often happens when the failing product or service is too tightly woven into the fabric and politics of the broader service or is emotionally bonded to the business. Systematically and critically scan your value chain to identify what you do that others cannot do as well or imitate easily. Once your idea is established or, for the more adventurous, perhaps prior to establishment, begin your market research. Look for gaps and see who potential customers might be and if an appetite exists for change. Keep in mind that your value chain connects to other larger chains and by looking up, down and across sectors (government or corporate) you may spot points of arbitrage that possess low barriers to entry and high yields. According to Porter and Kramer (HBR, 2011) many corporate organisations are undertaking this exact process in an attempt to create shared value that furthers their profit-making objective by utilising and addressing social issues. Some corporations are even doing work that was traditionally conducted by NFPs to achieve this aim. NFPs may adopt a reverse shared value approach by undertaking surplus-generating activities that are primarily aimed towards achieving a social objective. This can be achieved by partnering with corporations in their social efforts, either by doing the work with them, for them or doing work that was traditionally conducted by them. Grameen Bank’s microfinance lending program to the underprivileged in Bangladesh sets a fine example of how social business can reverse a traditionally for-profit pursuit and re-orientate it toward a pure social mission that exists primarily upon earned and surplus revenue. In fact, multiple sources of research suggest that emerging and aging western populations demand businesses to be more socially and environmentally active. This provides ample opportunity for NFPs to lead and capitalise upon this burgeoning market that is ripe for disruption and change. In this new landscape, the successful NFP organisations will be those that have the courage to take action, the discipline to execute change properly, and above all the will to take risks. 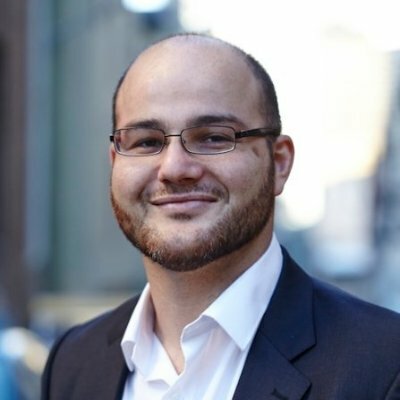 About the Author: Ivan Brown is the General Manager and Senior Consultant for NFP Success a Not for Profit consulting firm that works with NFPs, Charities and Social Enterprises. Brown is a keen advocate of small to medium-size NFP empowerment through the development of business acumen, operational innovation and performance systems. He commenced his career in the NFP sector over a decade ago and was Chief Executive Officer at the Guardian Foundation. He then went on to become the General Manager for the School for Social Entrepreneurs. Ivan Brown is the General Manager and Senior Consultant for NFP Success a Not for Profit consulting firm.